Carbon reinforced GRP construction with double carbon ring frame. 3 L integral fuel tank on outboard plus 5 L spare. 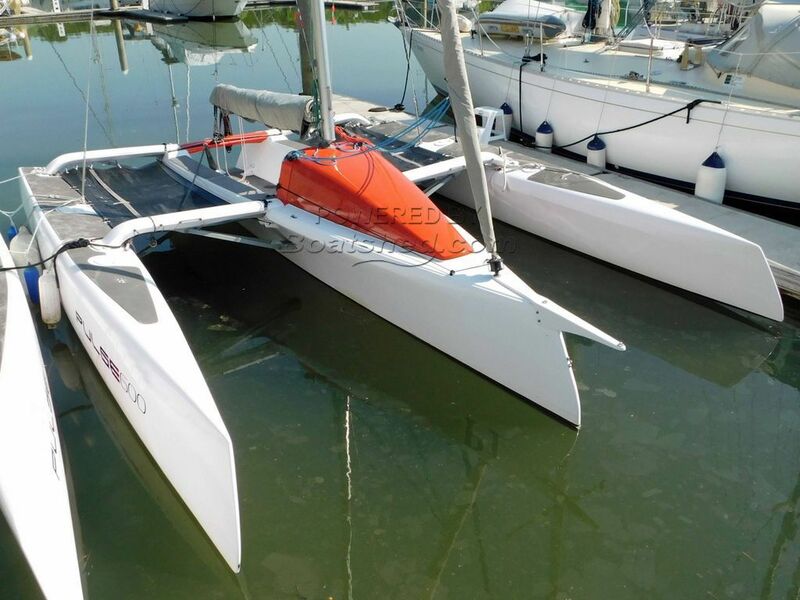 This Corsair Pulse 600 Trimaran has been personally photographed and viewed by Alan Giles of Boatshed Phuket. Click here for contact details.